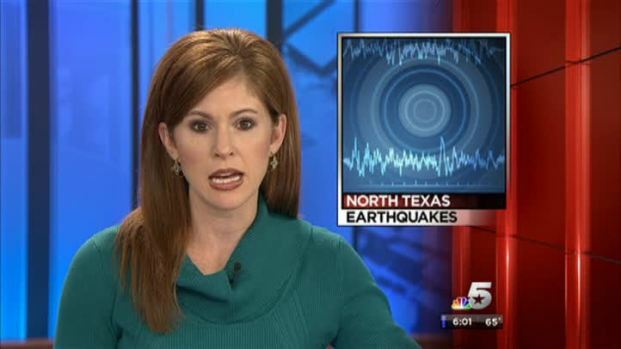 Three earthquakes shook North Texas over the weekend. The U.S. Geological Survey confirms a magnitude 2.1 earthquake occurred Sunday at 10:41:09 p.m. The epicenter was located at 32.841°N, 96.930°W, southeast of Las Colinas Country Club along Carl Road and north of state Highway 183. There have been no reports of injuries or damage from the quake. Sunday night's earthquake shook North Texas less than 24 hours after two other quakes were felt in the Metroplex. The U.S. Geological Survey confirms a magnitude 3.4 earthquake occurred Saturday at 11:05:01 p.m., southwest of Las Colinas Country Club near North McArthur Boulevard and West Rochelle Road. That quake was followed by a magnitude 3.1 earthquake at 11:09:03 p.m at Loop 12/Walton Walker Boulevard, north of Interstate 30 in far West Dallas. Thousands felt ground shake for 20 seconds southeast of DFW International Airport. Another earthquake at Loop 12 near I-30. Seismologist and SMU professor Brian Stump said that he doesn’t believe fracking or gas drilling are behind the recent earthquakes in North Texas. “In [the] central part of the United States, where we’re not in a big plate boundary, there are faults. Those faults ... relieve stress occasionally and I think that’s what happened,” Stump said. Stump plans to study these quakes further and believes there may be a human connection to the quakes, though he's not exactly sure what it is. 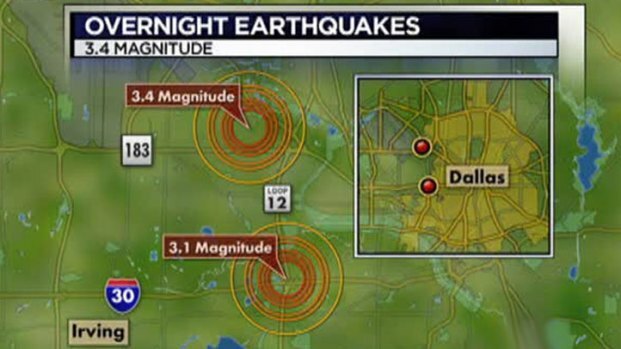 Two earthquakes, both over a 3.0 in magnitude, rattled North Texas late Saturday night. “For one thing it may a sequence of natural events or be related to human activity. We still need to study to quantify the relationship,” Stump said. The earthquakes felt here are on the smaller scale, Stump adds, and he doesn’t think they are strong enough to cause much damage. North Texans who spoke with NBC 5 confirmed as much, saying only a few photos were knocked from walls and that their pets seemed mildly agitated at the time of the tremor. 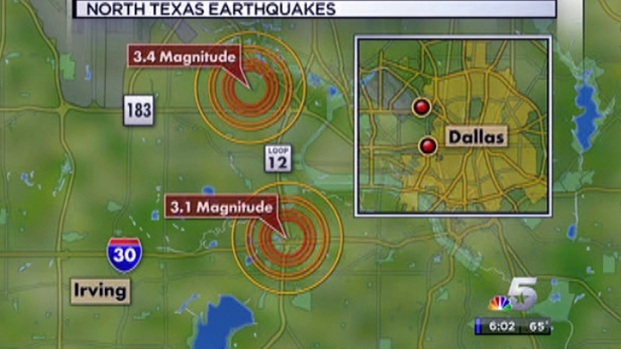 Randy Baldwin, with the US Geological Survey, talks about the earthquakes that struck North Texas Saturday night. The last North Texas earthquake to get a lot of attention was recorded on July 28, 2012 when a magnitude 2.2 quake was felt in Johnson County. The epicenter of that earthquake was between Cleburne and Burleson.